Shake up the holidays at home. Yes, that’s a penguin cocktail shaker. It was an anniversary present from my wife. Michael Martensen’s NYC-inspired Miracle Pop Up Bar is now open at Proof + Pantry through the end of the month, featuring great-sounding cocktails like Christmapolitan, Muletide, and Jingle Bell Nog. But if the last thing you want to do after last-minute NorthPark shopping is to fight more traffic and crowds, try making this festive cocktail at home. Martensen shared the recipe back when I was at Cowboys & Indians, and now it’s one of my holiday favorites. Here’s my take. Muddle ginger, cranberries, and sugar in the bottom of a cocktail shaker. Pour in remaining ingredients. Add ice and shake until contents are chilled. Strain into a coupe. 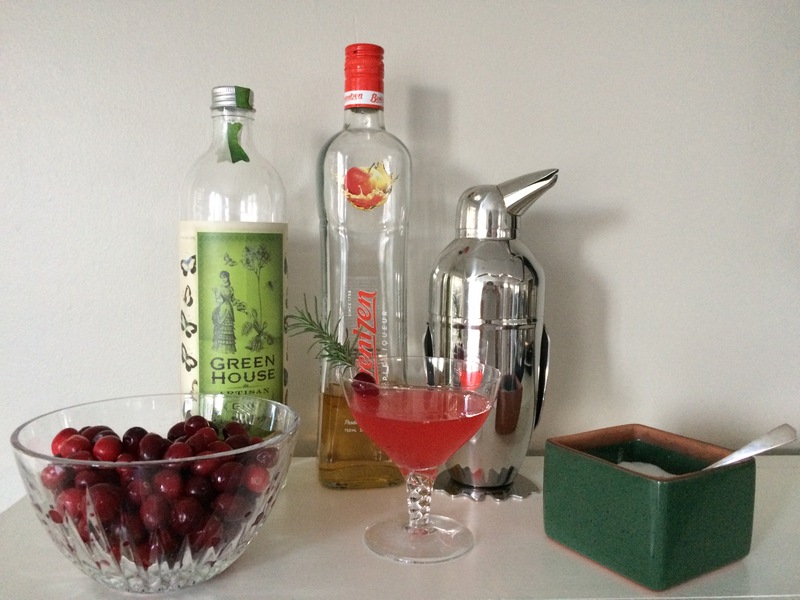 To make it extra festive, garnish with a sprig of rosemary.